The remote and mysterious beauty of the Kalahari will enchant you long after you have left. This immense desert covers much of Botswana and is full of unique wildlife species who have adapted to survive in this desolate landscape. The Kalahari Desert is not actually a true desert at all, but is instead a sweeping blanket of red sand, interspersed with bushes, fossils and ancient salt pans. The Kalahari is home to the nomadic hunter-gatherer San Bushmen who have occupied the Kalahari for the past 30,000 years. Join them on eye-opening excursions to learn how their age-old methods allow them to live in this seemingly barren wilderness. 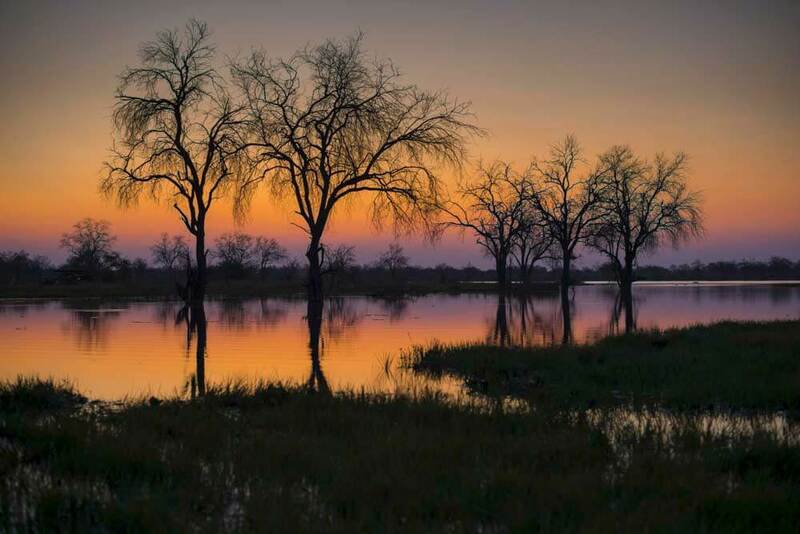 Although dry for much of the year, the Central Kalahari Game Reserve comes alive during the rainy season, when huge herds of plains game return to the water-filled pans and valleys. In turn these draw huge numbers of predators, including packs of hyena and hundreds of cheetah. The region is also the hunting ground for the famous black-maned Kalahari lion. Escape to the isolated wilderness of the Makgadikgadi Pans in the northern Kalahari where you will find the desert’s hardiest species. The world’s largest salt pans, these are the remains of an epic ‘super lake’ that covered Africa many millennia ago. Mongoose, aardvark and meerkats are present throughout the year, but during the rainy season the shimmering white pans fill with herds of wildebeest and zebra, whilst the lakes turn pink with flamingo. Contact one of our Africa specialists to start creating your tailor-made, luxury trip to the Kalahari.